It boosts property values, helps the environment, improves public health and brings together people of all ages and cultures. It’s free to visit anytime. It’s your local neighborhood park and it’s starting to get more attention from urban planners across the country. “Parks are more than just parks today. Green, open space has to do double, triple and even quadruple duty. They have to be ‘the traditional park’, but they’re also cultural institutions, botanical gardens and providers of social services. It’s a new definition of parks,” says Robert Hammond, co-founder of Friends of the High Line in New York. Hammond recently took part in the TD Common Ground Project, which polled Canadians’ attitudes about parks. The survey says 95 per cent of Canadians agree that access to community green space will be important to their quality of life in the future. Six out of 10 people say they visit their local parks at least once a week. 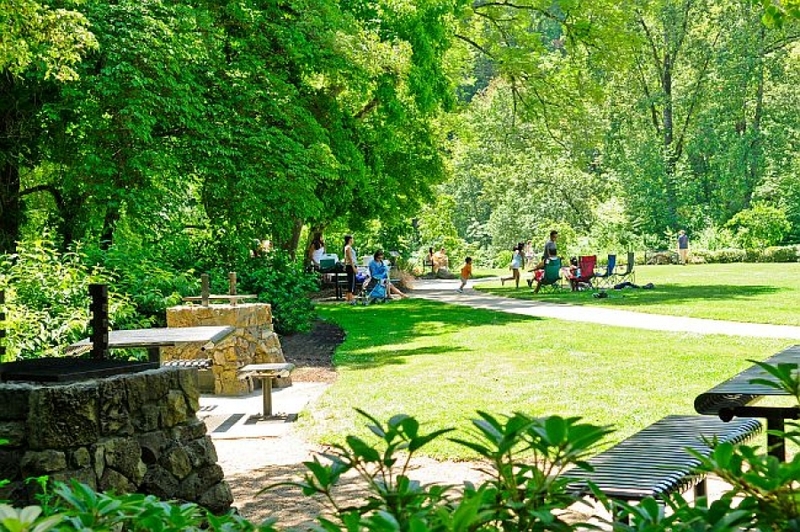 Ninety-seven per cent of respondents say that public picnic and eating areas are important for their parks, but the survey found that the top three reasons why Canadians use parks is to get away from it all. “Relaxing on my own” was the No. 1 reason, cited by 43 per cent of users. “Relaxing with friends and family” was second, and “Connecting with nature” the third most popular answer at 42 per cent. Only 13 per cent said they mostly use parks to spend time with their pets. Having playgrounds in parks is important to Canadians, according to the survey. Fifty-nine per cent of respondents say their kids spend less time outdoors than they did at their age. “We tend to think of parks as playgrounds with artificial play structures but we should think more of the…enjoyment for children in having more natural elements: climbing trees; picking up logs looking for insects; wading through brush,” says Marc Cadotte, professor of Urban Forest Conservation and Biology at the University of Toronto. Close proximity to community green space is the third-most important factor when people select a neighbourhood in which to live, says the survey. “Proximity to good schools” at 23 per cent and “easy access to public transit” at 19 per cent ranked just above access to a park at 18 per cent. It was ranked as more important than “walkable neighbourhood” at 15 per cent, “nearby amenities” at 14 per cent and “safety/low crime” at 11 per cent. Bringing technology to green space, such as Wi-Fi and electronic device charging stations, wasn’t a priority for most people surveyed. The most popular suggested enhancements were more public picnic areas, natural playgrounds and solar lighting. Most respondents say that parks must be inclusive and include benefits for families with young children, seniors and people with disabilities. The respondents were asked what land uses they would be willing to sacrifice, if necessary, to preserve more green space. Forty per cent said commercial development, 24 per cent residential development and just 20 per cent said parking. Eighty per cent said that government should take a leading role in funding green spaces, while 36 per cent said private enterprise could also get involved. Environmental: They help clean the air, keep cities cool in summer, preserve natural ecosystems and absorb storm water runoff. Public Health: Having access to green spaces is associated with higher levels of physical activity and encourages people of all ages to have a healthier lifestyle. Economic: “Parks make neighbourhoods desirable places to live, work and visit. They draw in residents, businesses, investors and tourists alike, giving an economic boost to the community,” says Park People. Parks also boost property values by five to 20 per cent, says the organization.